Fleetwood Mac News: Exclusive Clip #5: In Your Dreams Stevie Nicks Documentary Sneak Peek! "Poetry"
Exclusive Clip #5: In Your Dreams Stevie Nicks Documentary Sneak Peek! 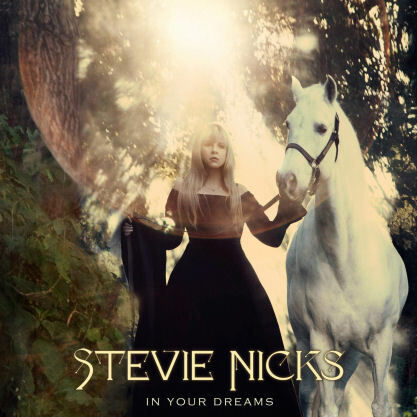 "Poetry"
A year in the life of legendary Fleetwood Mac singer-songwriter Stevie Nicks is captured in the documentary film ‘In Your Dreams,’ which will debut in American theaters on April 2. But you can get an early look at the film in this exclusive preview from Ultimate Classic Rock. This exclusive clip provides a fascinating glimpse into the early stages of creating the songs for the album, which began with Stewart poring through Nicks’ poetry to find lyrics that would lend themselves to musical adaptation. Any idea when the film will come to DVD?? ^soon, I guess. But wait up- I just saw a clip from Oprah where Stevie Nicks said she once used cocaine! I find this very hard to believe! Why would she say she used cocaine? I suppose next she'll say she slept with all of the men in Fleetwood Mac and The Eagles, equally hard to believe. I don't think she used to use cocaine, she would not have been able to be successful, but maybe she's on that prescription now that makes you talk too much and say things you regret later. Cocaine: Not Stevie Nicks! She's too good for that. Maybe she smoked pot once or twice or sipped a brandy once or twice on tour if her throat hurt. If she really had used cocaine, she wouldn't want to talk about it, being an intelligent person. People might think badly of it. It's not legal anymore. PS- hold up your cell phone during the movie and then burn your own dvdr when you go home, then put it on youtube, Stevie would be flattered. She smiles all the time when people film her at concerts. She's doing 'Sisters' because people on the net begged her to. Most surprising, perhaps, is that is one fugly burgundy, pink and green area rug, maybe Christopher bought it for her. It needs to be cleaned, too, but the colors are just not Stevie, at all. And those burgundy drapes are the cheapest JC Penney sells and overpower the windows, yet look like half of them are missing at the same time- there's nothing velvet, silky, drapey or dreamy about that room, and the lighting- not good. Get a new area rug, baybee. She's on the road so much, it probably doesn't matter- but, just look at that rug. Poster 2 very confused at everone of your comments! Are you a sarcastic random person that knows nothing about stevie? ah, yes stevie did a ton of coke from 76-86, she has said she spent over 1 million dollars on cocaine. she doesnt hide stuff like that, and u said it was hard too believe, and also the only members of f. mac she slept with were lyndsey & mick, and the eagles members were don henley& joe walsh. sorry, but this doesnt make her any less a star or less talented, she is only human after all. Feckless sarcasm is unbecoming.... Go back under your rock! Oh my god! This is a FAN site for Stevie Nicks, not for some stalker to investigate the curtains and the rugs in Stevies home. I'm guessing your home is spotlessly clean with all the latest fashionable furniture as well? Honestly if you are all Stevie fans and not insane, justy enjoy the fact we are seeing her still active and enjoying her material.